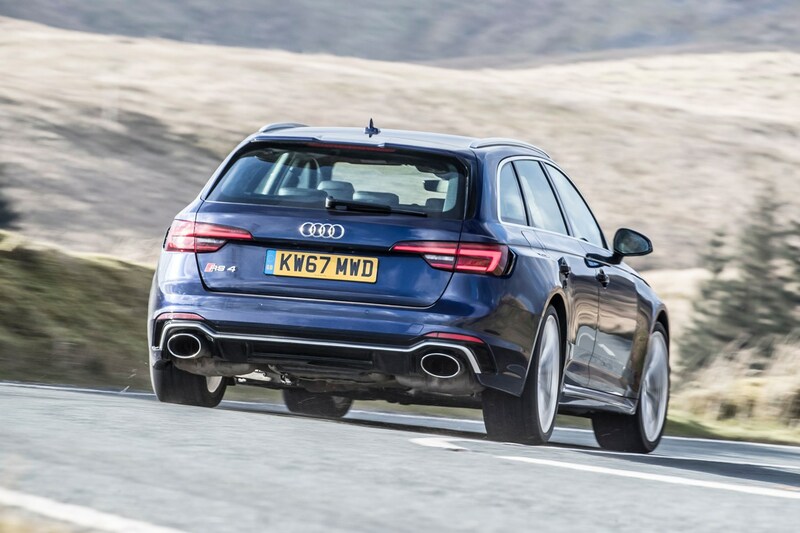 Is the Audi RS 4 Avant the best business-class bruiser? 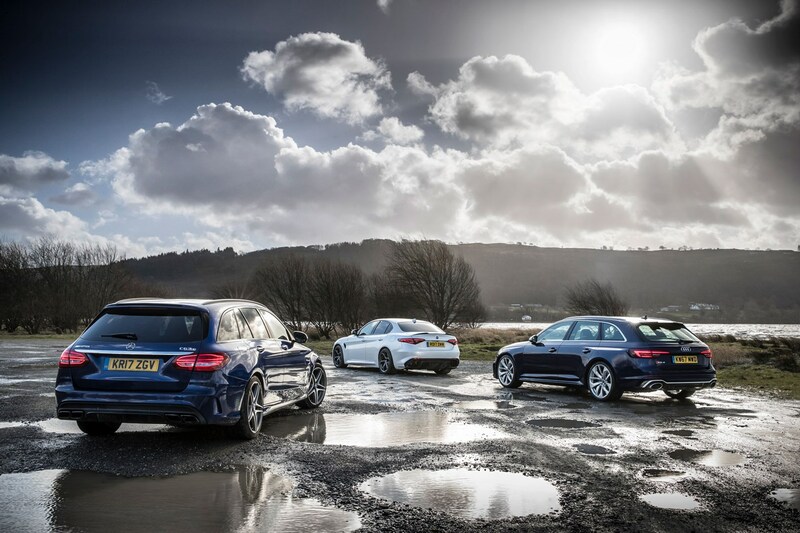 These three executive cruisers may look sharper-suited than the queue for the toilets at the GQ Awards, but beneath the sensible veneer of each beats a heart of pure performance. 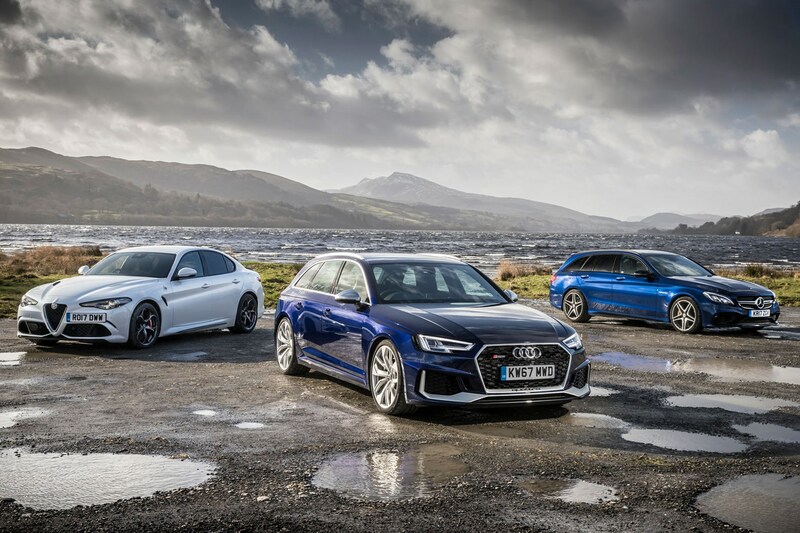 Fast saloons and wagons from Audi like the new RS 4 Avant have come to define the very nature of this sports car subset – with subtle looks belying devastating pace, whatever the weather. 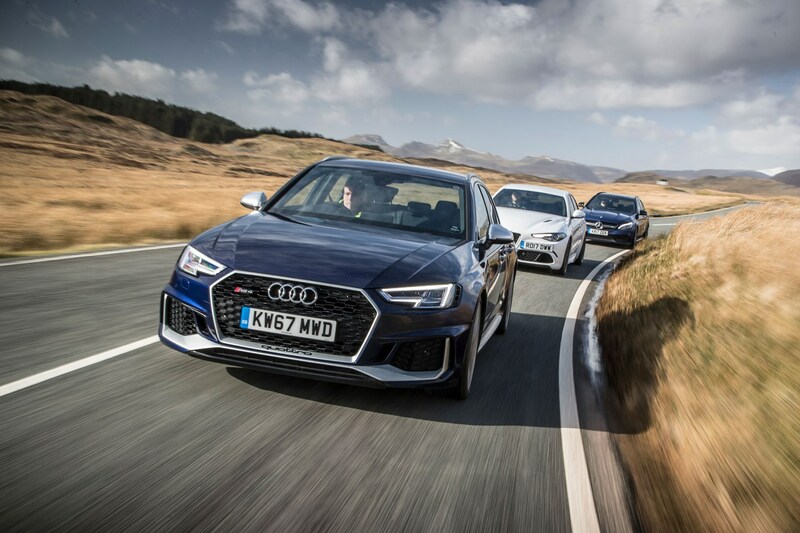 This time the Quattro car promises more driver involvement – not a traditional Audi selling point – so can it now hold a candle to characterful rivals like the Mercedes-AMG C 63 S and Alfa Romeo Giulia Quadrifoglio? 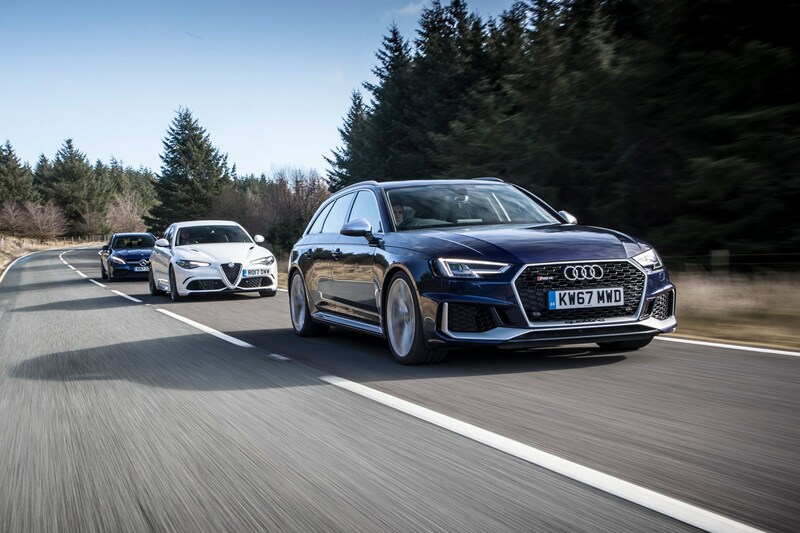 Like a good hot hatch, a super saloon or estate needs to offer multiple personalities. It should be comfortable and subtle-looking enough for everyday use and then extravagant and exciting on a Sunday morning spin. That combination is a chassis engineer’s nightmare – requiring suspension that feels subtle over a speedbump, while attacking a series of technical corners with less bodyroll than a yoga instructor. 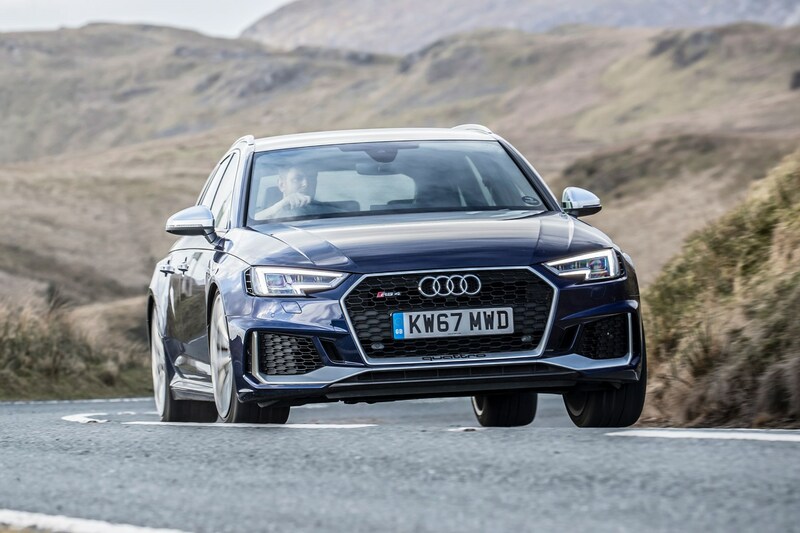 We reckon this is the most involving RS 4 Avant to date – where previous cars responded to fast cornering with sensible understeer (where the car loses grip on the front axle) this version feels much more balanced. In the dry, the big Audi’s AWD traction levels are imperious, and they don’t suffer hugely on rain-sodden roads either. On wintery, lower grip surfaces, you can easily persuade the rear axle to step out a bit to tighten your line while the front tyres remain faithfully locked into the tarmac. One area where this car has taken a bit of a step backwards in terms of character is under the bonnet. Previous incarnations featured a brash V8, while this car makes do with a 2.9-litre V6 twin-turbo. It’s extremely effective and offers vivid performance throughout the rev range, with loads of power from the word go. 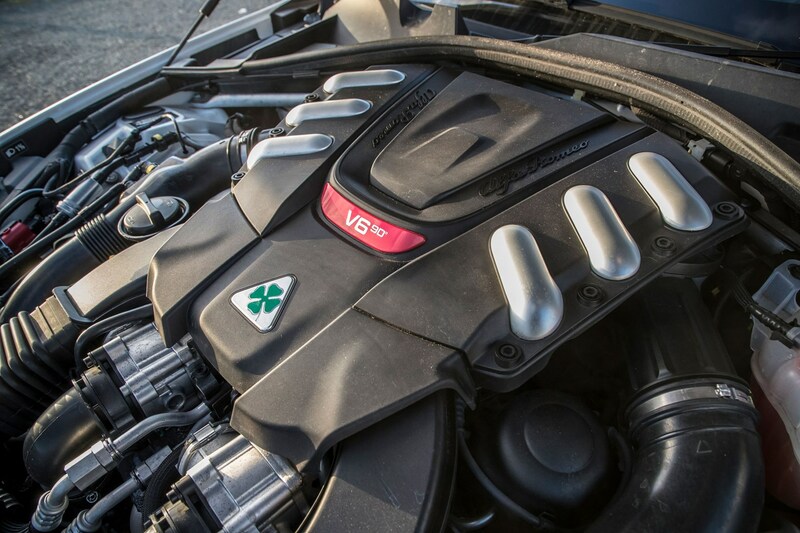 It makes a reasonably good noise too, but we still prefer the old V8. We think this car is the easiest to live with day-to-day thanks to a supple ride and undemanding character thanks to loads of low down torque. 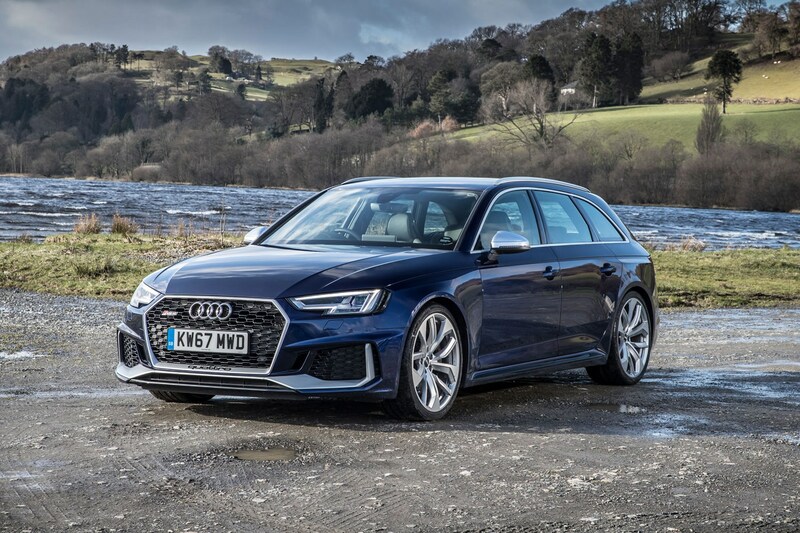 While we think the RS 4 Avant can also be an absolute riot, it’s the least exciting of the three, relatively speaking of course. 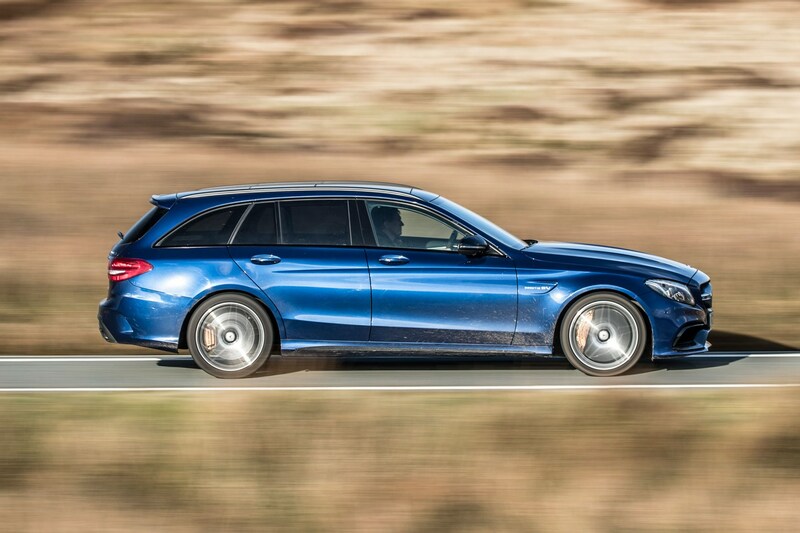 Muscle cars are what Mercedes-AMG is all about and from that perspective this car really delivers – while it also features a smaller engine than last time (a mere 4.0-litre V8 as opposed to a 6.2-litre lump) it’s still a veritable sledgehammer that roars and growls in exactly the way you’d expect. 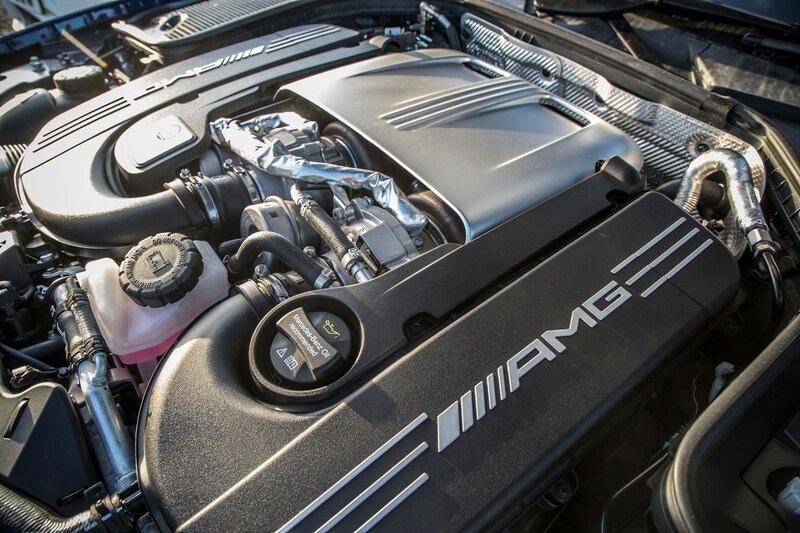 Because the AMG’s turbos are positioned cleverly within the V of the engine, there’s really very little of the lag you’d normally associate with a forced-induction motor. That means the power is right there from the first few millimetres of the accelerator pedal. And what a noise it makes too – full of bassy resonance at tickover and baritone voice at the top of the rev range, plus a salvo of firecracker bangs and parps from the exhaust when you shift up or take your foot suddenly off the gas. 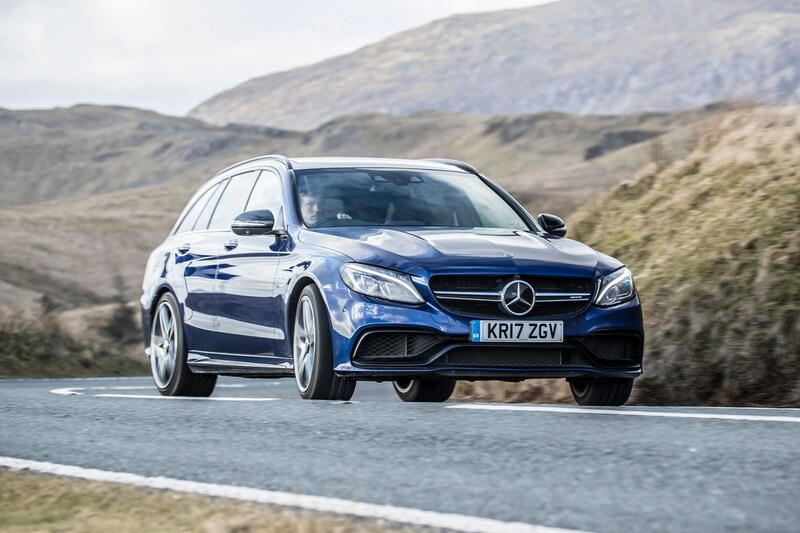 Unlike the Audi, the AMG is rear-wheel drive but you still get stacks of grip – arguably more from the front end and a really manageable rear axle. This S version benefits from an electronically controlled limited slip differential to help you make the most of the power. The genius of this car is that from the looks and noise it makes you assume it’s going to be a bit of an animal, whereas in reality it’s still got your back, making it the best balance of power and everyday usage here. You can enjoy it just as much at low speeds as when you’re really pushing on. 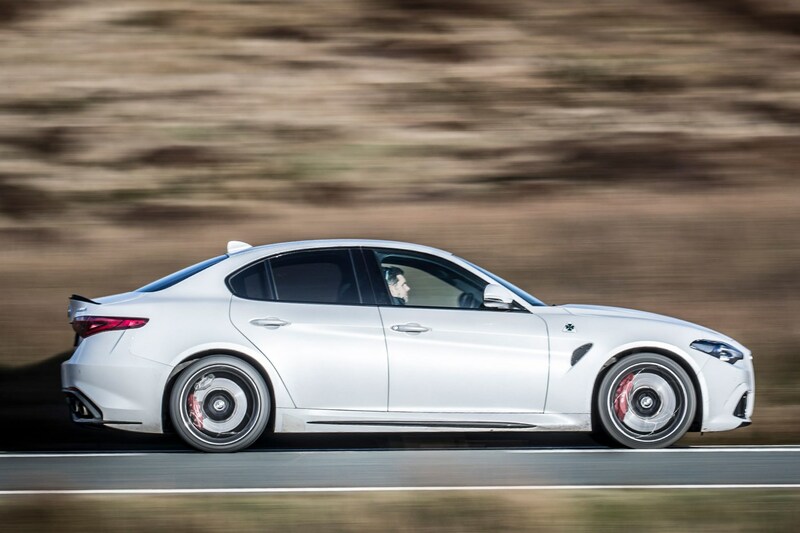 And so we come to the most focussed car of our test – this sizzling Alfa saloon sits firmly at the performance end of the spectrum with a savage top speed of 192mph, which will leave the other two well and truly in its rear view mirror. 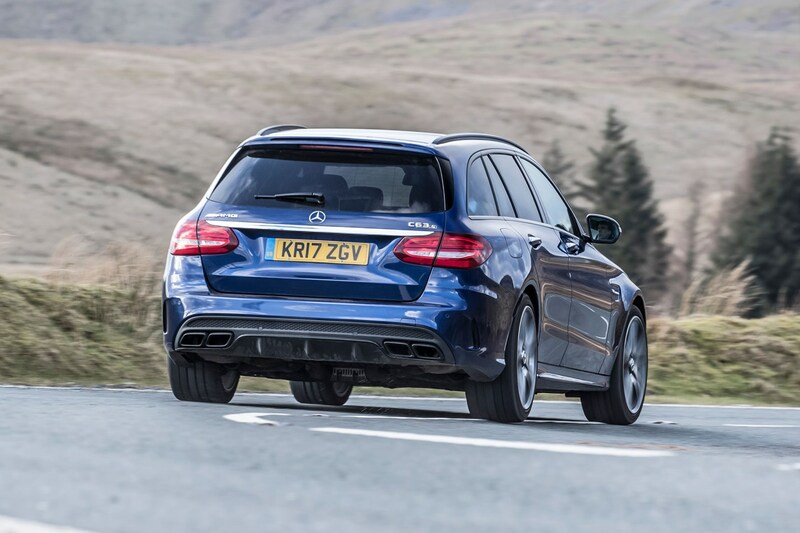 It’s two tenths quicker than both the estates from 0-62mph but demands commitment to get the most from it, where the Audi and AMG are happy to deliver lazy lumps of power throughout the revs. 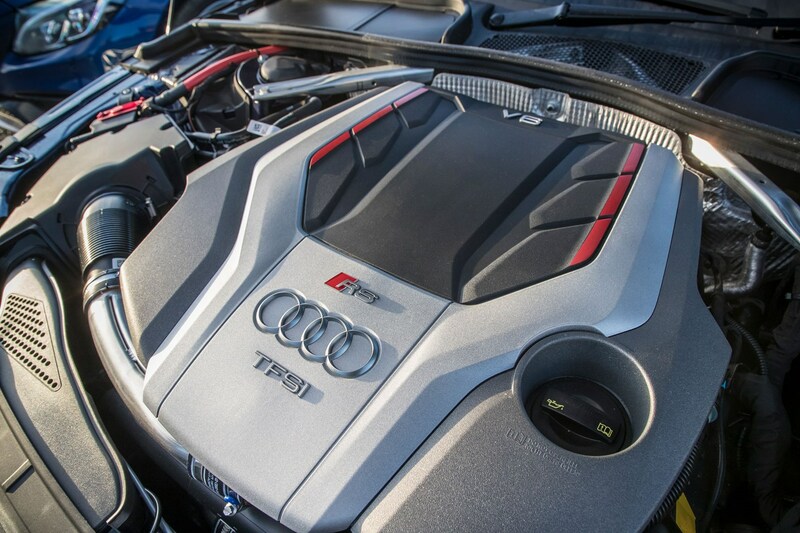 Even in Dynamic mode the full roar of the engine doesn’t make itself heard until you’ve passed the middle of the rev range, at which point the power delivery keeps pulling and pulling right up to the redline in a thoroughly un-turbocharged way. Hold the drive mode selector all the way round to access Race mode and the exhaust opens up permanently so you can witness the engine’s full bore soundtrack, but then you’ll lose the traction control and digital speedo from the dash. See what we mean about commitment? 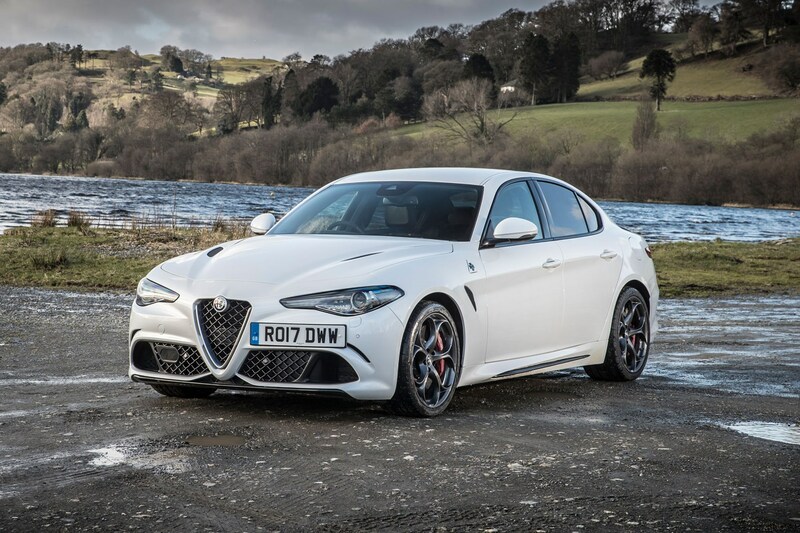 Do so in the dry and the Giulia delivers massive thrills, from the surge of power from its Ferrari-inspired V6 to the whipcrack gearchanges every time you pull one of the big levers mounted on the steering column. 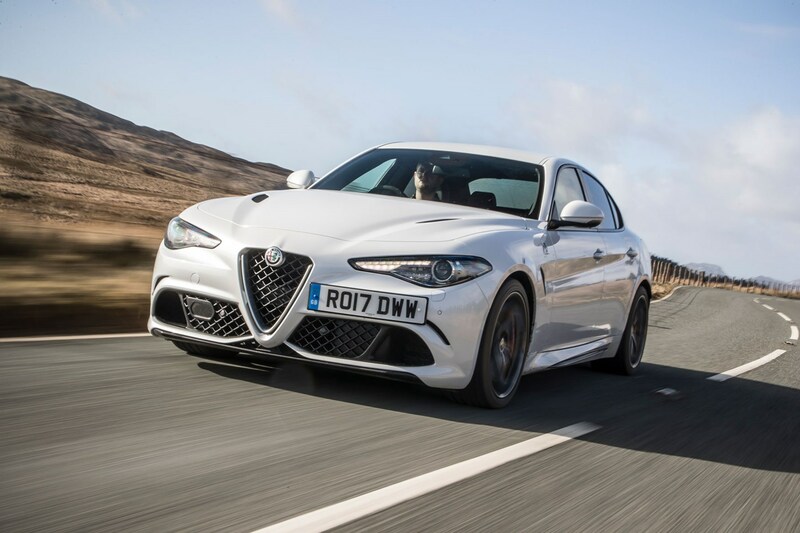 It may not be so comfortable pottering around as the other two, but for sheer visceral exhilaration, the Italian saloon is peerless in this test. 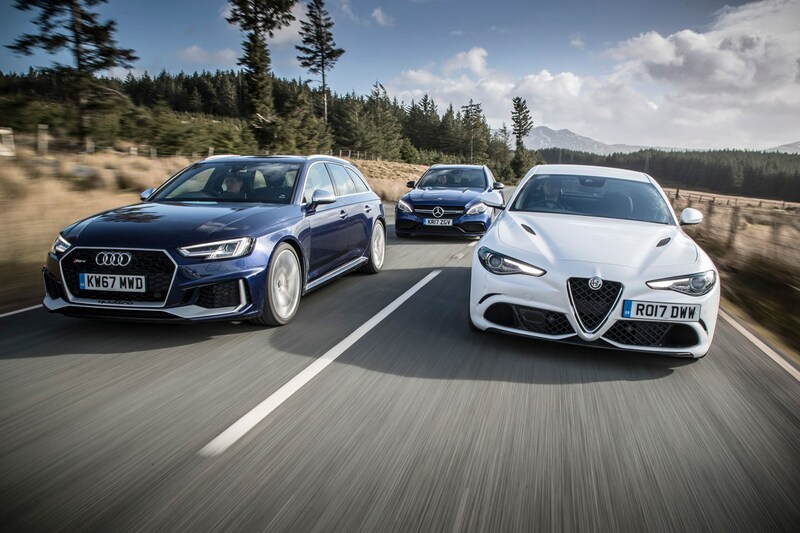 A big estate (or saloon in the Giulia’s case) needs to offer greater practicality than a hatchback – better rear seat space for ferrying around colleagues and a larger loadspace to boot. 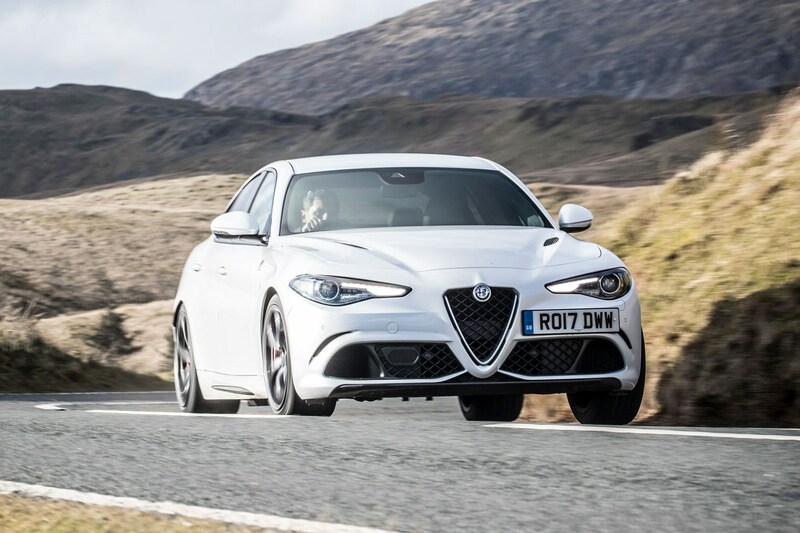 We haven’t brought a Giulia estate along because frankly, it doesn’t exist, and we think the saloon is so good it’ll make you think twice about whether you really want one anyway. Plus, Alfa Romeo caters for buyers looking for more practicality with the Stelvio Quadrifoglio SUV. The winner in terms of outright bootspace – this Audi boasts a 505-litre loadbay with the rear seats up, trumping what the other two cars offer. It’s reasonably spacious in the back as well, with more legroom unlocked by an additional 26mm of length compared with the previous car. The Merc’s boot is slightly smaller than the Audi’s with the seats up, offering a still-reasonable 490 litres of space. Collapse the seats however and there’s an equal 1,510 litres, so that’s worth considering if you regularly transport larger loads. Like the Audi, this C-Class is more commodious for passengers than last time around too, boasting more than enough room for four. The Italian saloon is obviously the smallest in terms of bootspace but it’s closer than you’d imagine, because the Alfa offers 480 litres - just ten fewer than the Mercedes. Obviously it’s a little harder to access thanks to a lack of tailgate, and you’ll also find the back seats a bit more of a squash, particularly the middle pew, which is best saved for children. Which has the best interior? It’s no use looking good on the outside if the interior is a creaky, thin-plastic-lined mess. 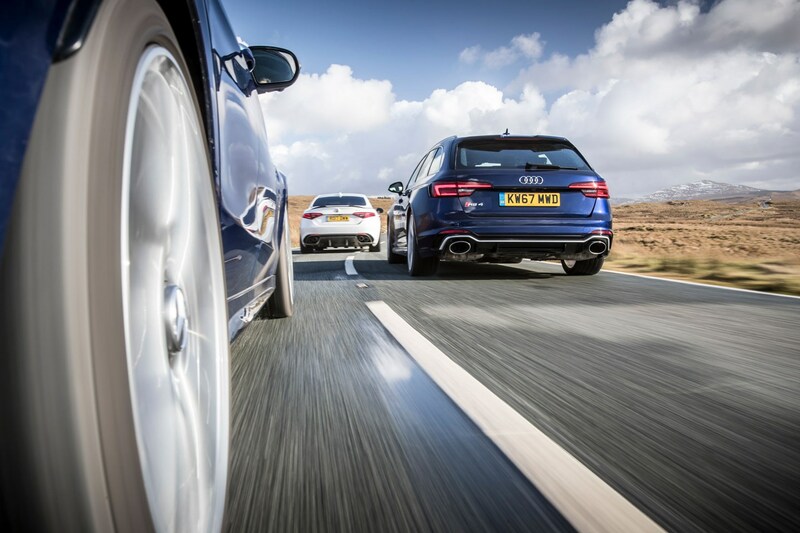 These super saloons and estates need to be equally impressive on the inside as they are out. But which is best? 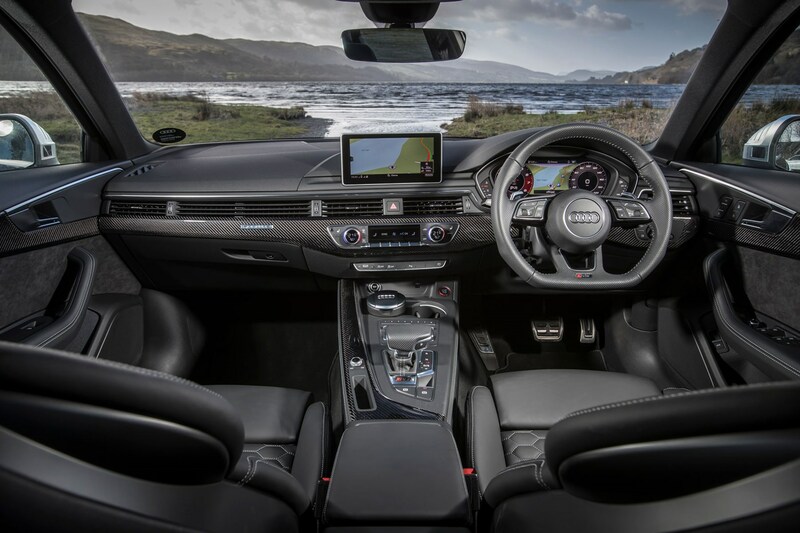 Overall, the Audi’s interior is as faultless as you’d expect – seamlessly assembled and featuring swathes of Alcantara and carbonfibre for a high-performance look and feel. We’re also big fans of the Virtual Cockpit digital dashboard, which is as nicely integrated in this car as other Audis we’ve driven. The gearshift paddles on the steering wheel are awful though – really plasticky and hardly any different to what you get in a DSG-equipped diesel VW Golf. We suppose you can take some comfort in the fact that they’re just as underwhelming in the much more expensive Audi R8 too. Seriously, sort it out. 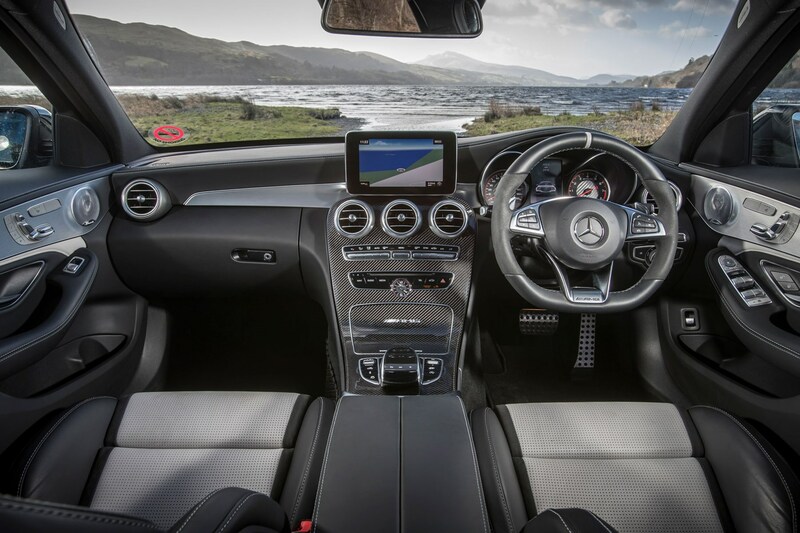 The Mercedes dash doesn’t feel quite as well screwed together as the Audi’s but speaking objectively it is much more interesting to look at. You get a more traditional and less high-tech analogue dial and central screen set-up, and a huge carbonfibre central stack, which might not suit everyone’s tastes. While the Alfa’s interior is perfectly functional it’s not really as polished or solid-feeling as either of the Germans, particularly the rattly drive mode selector, which is a shame. There’s no digital dash option here either, just some (admittedly attractive) analogue dials and a nicely integrated but oddly letter-box shaped screen. 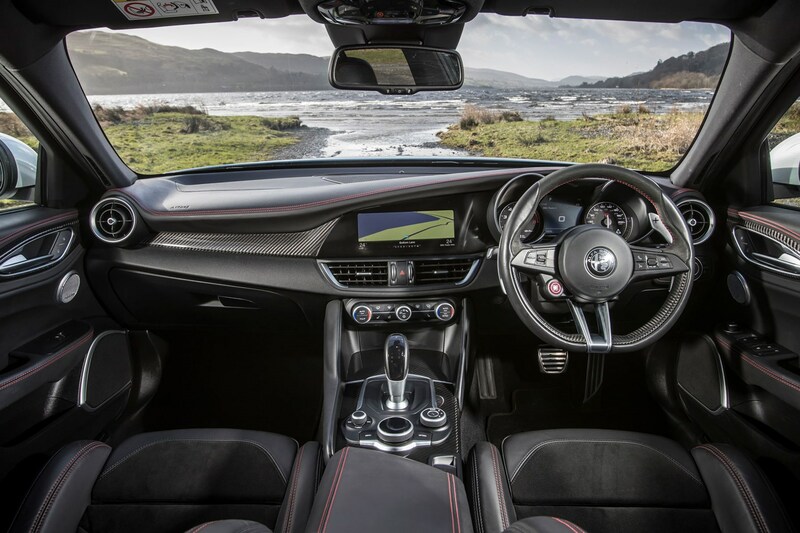 Where the Alfa does smoke the competition though is the steering wheel and gearshift paddles – the latter are column mounted, huge, and made of pleasingly robust metal. They have a satisfying action too, so much so you might find yourself using manual mode just for the fun of it. This is one area where we can afford a bit of leeway for these cars. They cost a lot to buy and run, but that doesn’t mean you should put up with undue bills. So which is the cheapest of the three? Finance quotes below are based on a 48-month PCP deal, with 10,000 miles a year and a £7,499 customer deposit. Bit of a mixed bag here with the lowest fuel costs thanks to 32.1mpg but the highest CO2 output, weighing in at 199g/km. This is also the most expensive car per month as well, costing a cool £789, based on the terms above. Slightly worse cost per mile from the Mercedes due to its 34.4mpg claimed economy, although CO2 is lower at 192g/km. 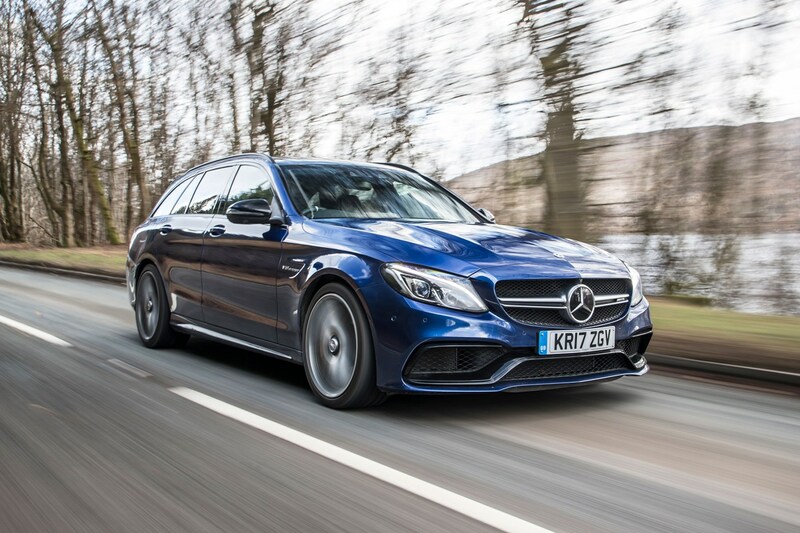 This car is also the cheapest with £699 in monthly payments – with one massive caveat – the Mercedes finance calculator was only able to give us a quote for a standard C 63 Estate rather than the C 63 S we’ve driven here, so that’s worth bearing in mind. 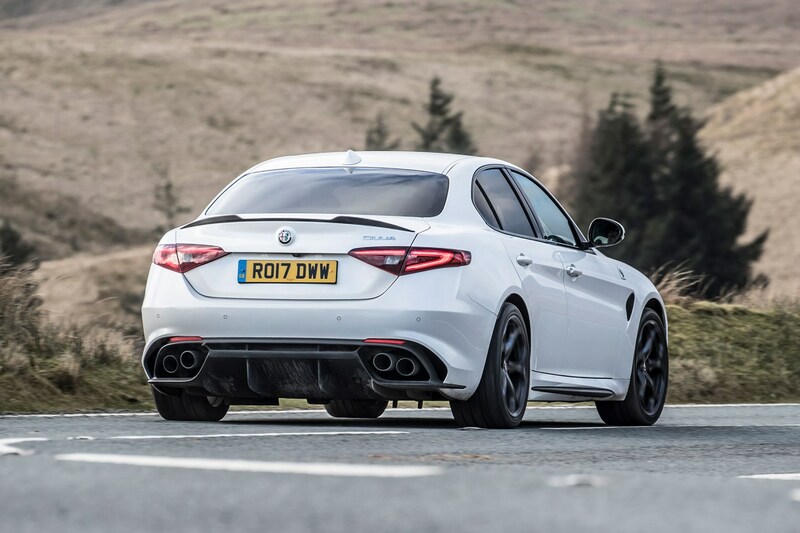 The best overall on paper at least, the Alfa offers identical economy to the Mercedes-AMG, with a lower CO2 figure as well. It’s also strong with like-for-like finance, boasting a monthly cost of £743.73, which is less than the Audi and only slightly more than the Merc. 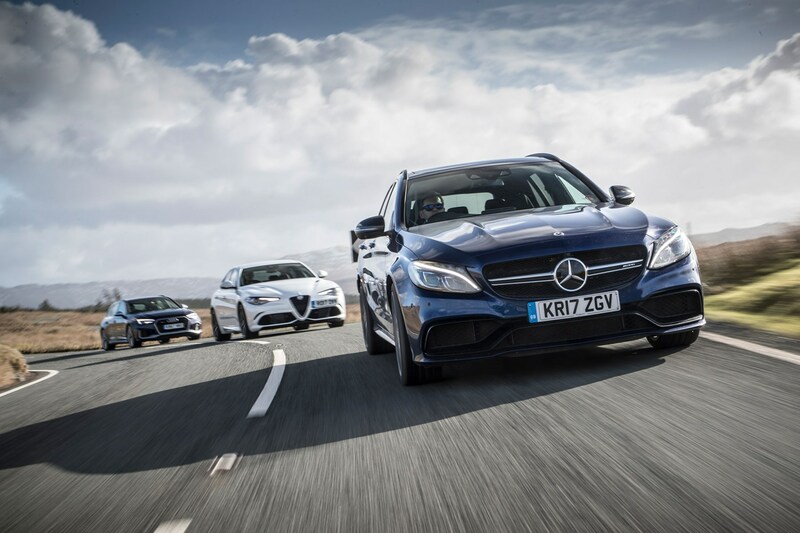 With such a varied range of talents here it’s hard to pick an overall winner from these three, although if pushed we’d say the best all-rounder is the thrilling yet practical Mercedes-AMG C 63 S Estate. 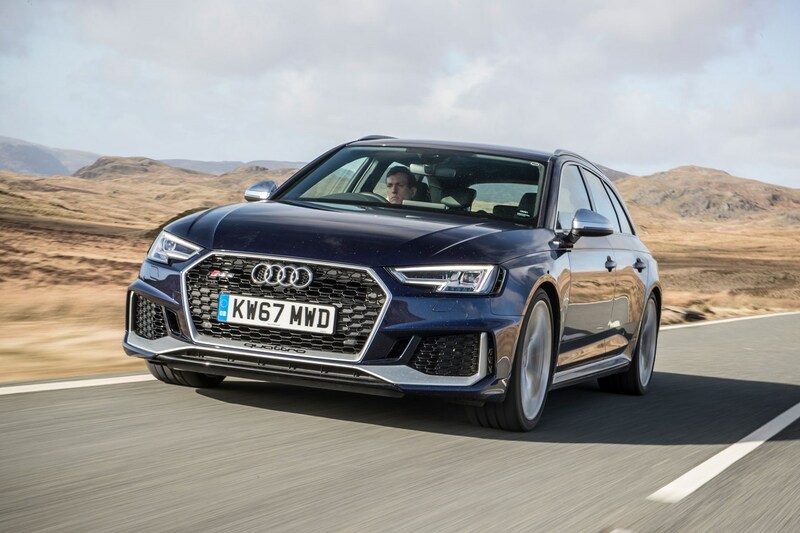 The Audi RS 4 Avant pushes it close, especially now it’s more fun to drive than ever, but we reckon it’s still just a little too much on the side of everyday, while the AMG delivers just as much comfort with even more excitement. 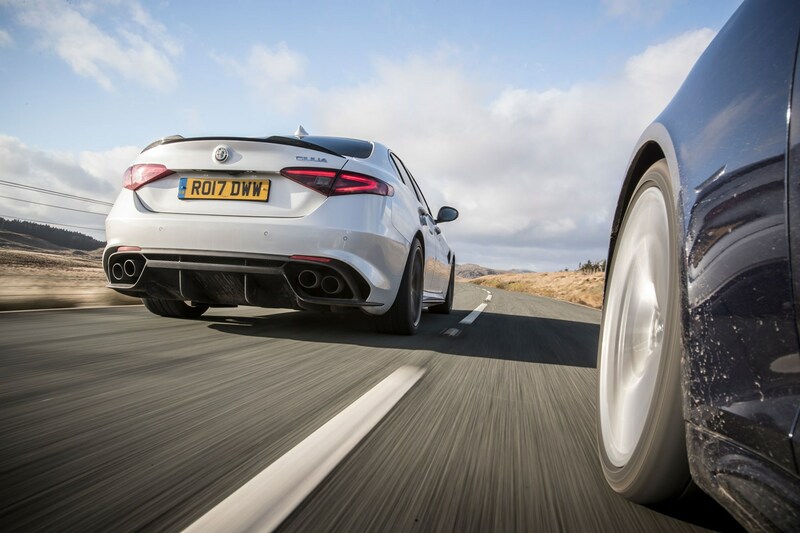 Pick the Alfa Romeo if you want a seriously focussed, laugh a minute saloon. 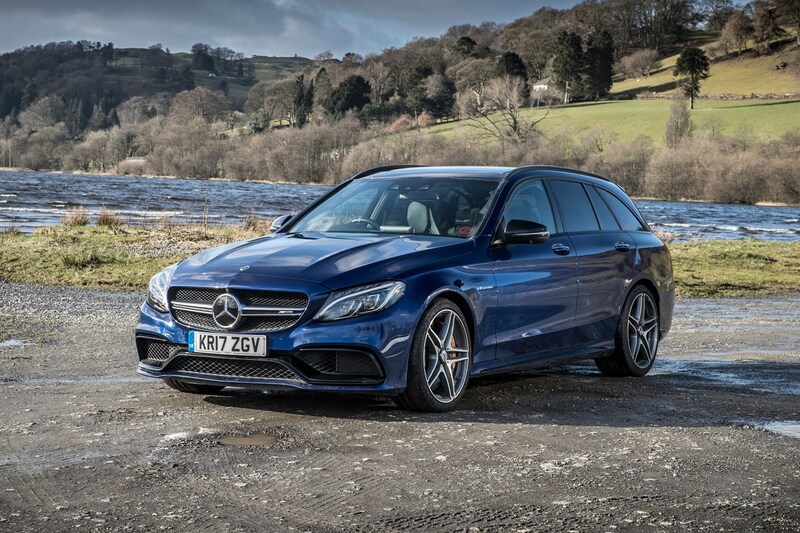 It’s not quite as practical as the other two but it’s admirably close considering its lack of estate boot, and if performance matters to you, we’re not sure you’ll care.